So far, the Fall 2015 campaigns have been pretty safe in terms of creativity, many having been shot against a studio backdrop. 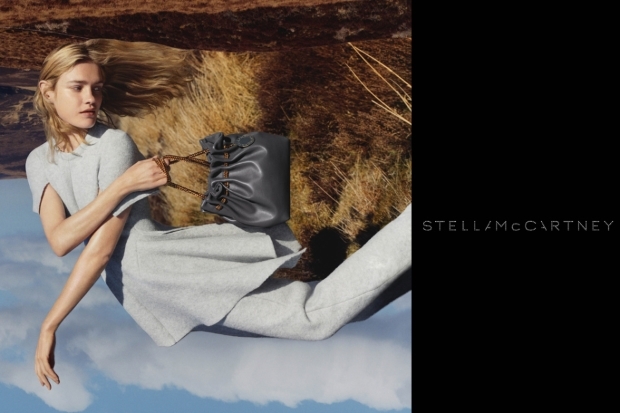 Stella McCartney‘s is far from dull, delivering a visually-stimulating campaign featuring Natalia Vodianova. Photographed by Harley Weir, Vodianova traveled to Scotland for the shoot, resulting in the Russian beauty practically bending over backwards amongst the untouched wilderness to deliver a striking shot for the new mainline campaign. “It looks like a painting. I like it. Very interesting. Can’t wait to see the rest,” enthused MON hitting us off on a positive and eager to see more. “I love it. It reminds me of her earlier campaigns,” appreciated gazebo immediately. Also full of praise was khyrk: “I kinda like the dreamy feel of the campaign,” he enthused, just as the campaign started to receive mixed reactions. “Will they ever book another girl? At least Natalia is finally starting to age in Stella’s campaigns. It’s a great shot, will be interesting to see how it looks in print,” noted Benn98. HeatherAnne wasn’t a fan of the casting. “Natalia ruins what could have been an interesting campaign to me, she’s just dull as dirt to me at this point, especially when associated with McCartney,” she complained. Head over to the thread for more and share your opinion here.